This is a draft of a a book designed to contain three dimensional images. 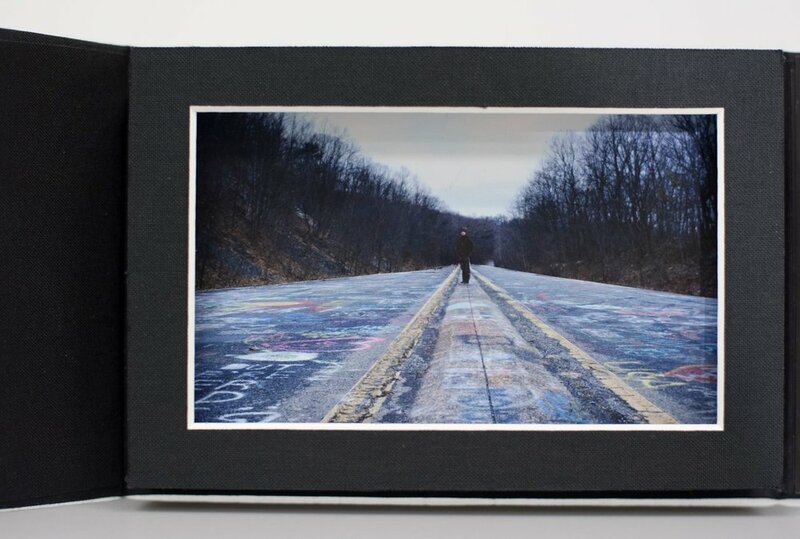 The images, taken in Centralia PA, are duplicated, cut and layered to re-create a three dimensional scene. Centralia, PA was a town condemned when a mine caught fire. The fire still burns today, leaving behind the nearly abandoned and scorched bones of a once thriving town. An edition of three books is scheduled to be completed in 2017. Walking or driving in this area could cause serious injury or death. Ground is prone to sudden collapse.